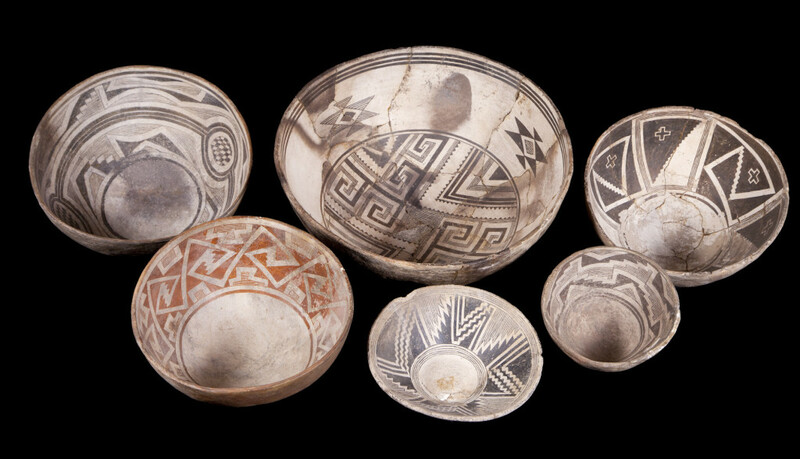 Mimbres bowls from the Museum of Northern Arizona collections. Click the image to open the Mimbres Black-on-white gallery. Mimbres pottery is one of the best known types in the Southwest. Although often referred to as a whiteware, Mimbres Ware is actually a brownware slipped with white and painted with designs that range from red to black. 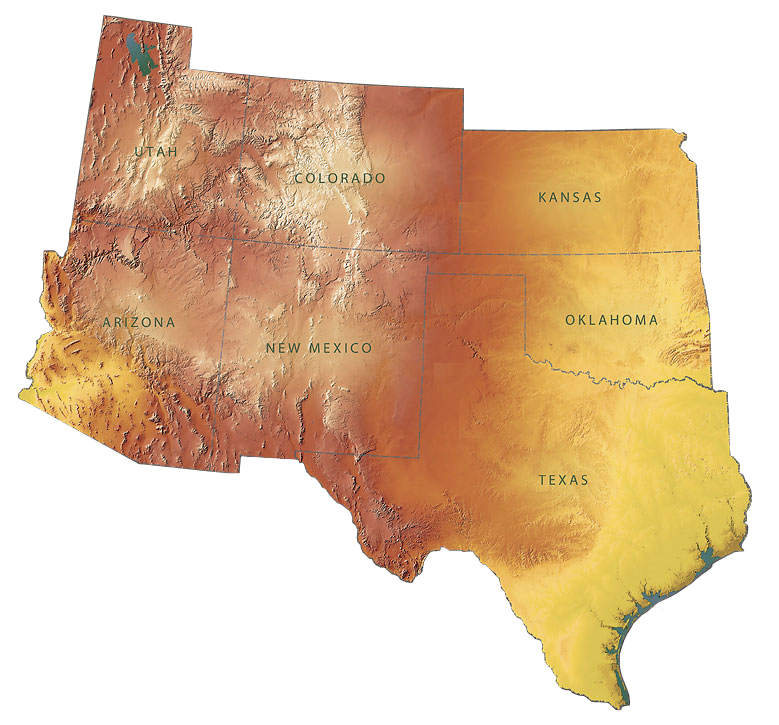 Concentrated in southern New Mexico north to the Upper Gila, east to around El Paso, Texas, and south into Chihuahua, Mexico, this ware is also occasionally found as far west as west-central Arizona. Types include: Style 1 (Boldface), Style 2 (Transitional), and Style 3 (Classic). Firing: In an oxidizing atmosphere (early) and later, in a reducing atmosphere; firing atmosphere often variable; fire clouds common. Temper: Quartz sand or crushed quartz, volcanic rock, and/or sherd; often fine and rounded. Surface Finish: Bowl exteriors often unslipped or slipped red; exteriors smoothed (slightly bumpy); interiors smoothed, white-slipped (chalky), polished; jar exteriors slipped and polished. Surface Color: White-slipped, occasionally red (bowl exteriors); when not slipped, brown, grayish-brown. Forms: Bowls (predominate), jars, ollas, seed jars, pitchers, canteens, scoops, effigies. Design: Geometric and figurative; curvilinear and rectilinear motifs, wavy or straight line hatchure common; rim lines present depending on type; later designs intricate and detailed; life forms realistic; jars typically decorated with geometric designs, with life forms reserved for bowls; bowls typically decorated on the interior only, but occasionally with secondary designs on the exterior surfaces. Comparisons: Cibola Paste/Mimbres Design: whiteware vessels painted with Mimbres designs, generally found in the Reserve area, Arizona and the Upper Gila Valley, New Mexico; typically unslipped. The slip on Chupadero Black-on-white cannot be scratched with a fingernail.